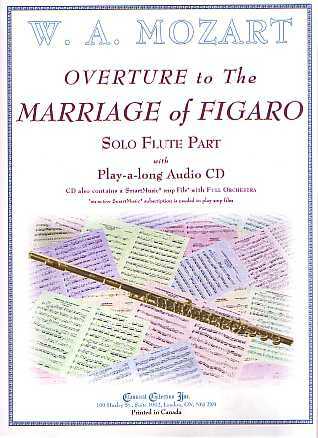 The Overture to The Marriage Of Figaro (K. 492) is presented as a Solo for Flute, Clarinet or Alto Saxophone with a play-a-long Audio CD which also contains SmartMusic SMP Files. 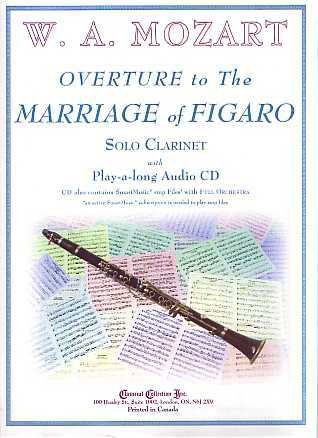 This edition of The Overture to The Marriage Of Figaro is ideal for anyone who is studying or listening, to better understand and, in general, enjoy the wonderful music of this outstanding piece! Duet Books and Piano Accompaniment Books are also available. Le Mère Coupable (The Guilty Mother, 1778). 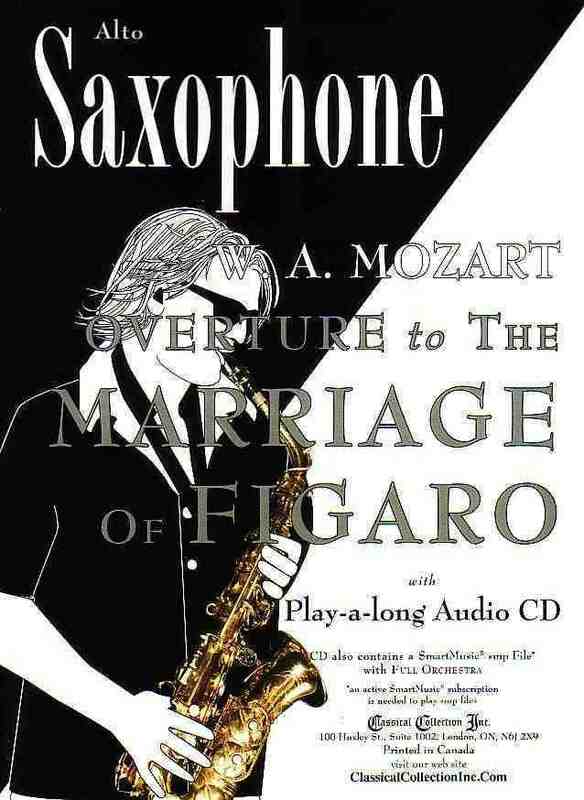 Several other composers used the Figaro trilogy as basis for Operas: Giovanni Paisiello (1740-1816) in 1782; Friedrich Benda (1752-1792) in 1792; Nicolas Isourd (1775-1818) in 1796; and, of course, Gioachino Rossini (1792-1868) in 1816. In this arrangement, to make for a more “friendly” key, the entire piece has been transposed up a semi tone. The CD contains both Audio and SmartMusic versions. The Clarinet book CD contains versions for both Bb Clarinet and Clarinet in A, for those who want to play the work in the original key. The Clarinet book CD contains versions for both Bb Clarinet and Clarinet in A, for those who want to play the work in the original key.